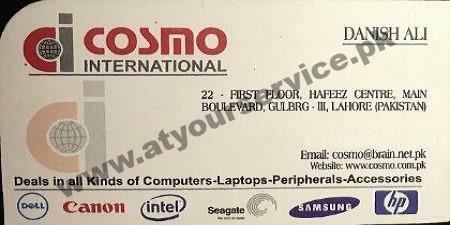 Cosmo International is located in Hafeez Centre, Main Boulevard Gulberg III, Lahore. For Corporate sector, Multinationals, financial institutions, Govt. & Semi Govt. Organization, large & small business enterprises offer variety of products.